The best way to start saving for your financial future (after you have 3-6 months of expenses saved in your emergency fund) is through your employer-sponsored retirement plan. If you are eligible to participate in a 401(k) or 403(b) plan you can contribute up to $18,000 (or $24,000 if you are age 50 or older) in 2016, and many employers offer a matching contribution. After updating your contribution amount confirm that your account is invested according to your time horizon. Investors often set an allocation when they first start saving, but fail to review and make investment changes as financial goals and priorities change. 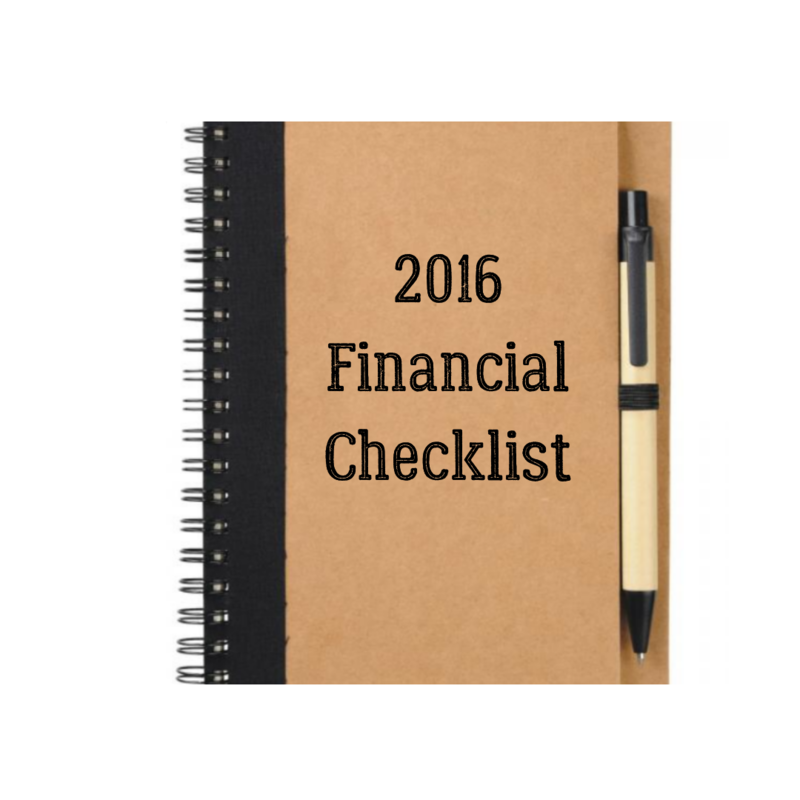 Always set aside time to review your allocation on an annual basis to make sure it fits with your planning needs. Also check to see if there are any significant plan updates – does the plan now offer a Roth 401(k) option? Do you have the option to open a self-directed IRA? In addition to saving in your employer-sponsored retirement plan you may also be eligible to contribute to a Traditional IRA or a Roth IRA. If you have additional funds available to invest you can contribute $5,500 (or $6,500 if you are age 50 or older) into a Traditional IRA or Roth IRA. Saving in a Roth IRA a great option to put away funds for retirement on an after-tax basis depending on your tax situation. 2.Are my accounts invested appropriately given my risk tolerance? When was the last time you reviewed your overall investment portfolio allocation? The S&P 500 and the Dow Jones Industrial Average are at an all-time high (as of the date this article was written on December 9, 2016) which is great news for equity investors, but what does it mean for your long-term investment portfolio? As markets move you may wind up invested more or less aggressively than you originally intended therefore increasing or decreasing your investment risk. For example, a portfolio that was initially allocated to 60% stocks and 40% fixed income may have drifted over time to now be invested in 65% or 70% stocks depending on market conditions. Rebalancing may also offer better investment returns as you may be able to take advantage of opportunities to sell high and buy low (selling what is overweight and buying what is underweight). While the potential benefits of rebalancing are fairly obvious, the timing of this activity is a little more complicated; some items to be considered are transaction costs and tax consequences, depending on your account type. 3.Am I paying too much in taxes? One planning goal that always seems to be at the top of the list is to pay less taxes, so what can you do to help lower your tax bill this year? If you realized capital gains in your investment portfolio look for opportunities to benefit from taking some losses to offset the gains. Increase your savings to your pre-tax retirement accounts (401(k) or IRA) as funds contributed to these accounts on a pre-tax basis are not included in your taxable income. If you are trying to think of a last minute gift for those special people on your list, donate to a charitable organization. You will benefit by taking the tax deduction and of course feel good about helping those in need. Depending on your income situation this year you may be able to convert some of your pre-tax retirement savings to Roth assets. Any amounts converted from pre-tax assets to Roth assets are included in your income for the year, but any future withdrawals from your Roth accounts (in accordance with IRS guidelines) can be withdrawn tax-free. You are also not be required to take a Required Minimum Distribution from your Roth IRA when you reach 70.5 years of age. The IRS code is complicated so be sure to check with your tax advisor before implementing any tax planning strategies. 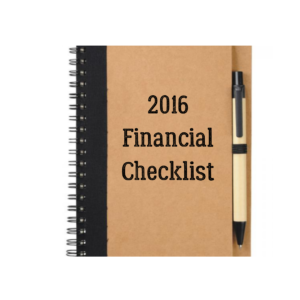 This entry was tagged Financial Planning, Investment Planning, Rebalancing, Retirement Planning, Tax Planning. Bookmark the permalink. ← Simplify Your Financial Life!